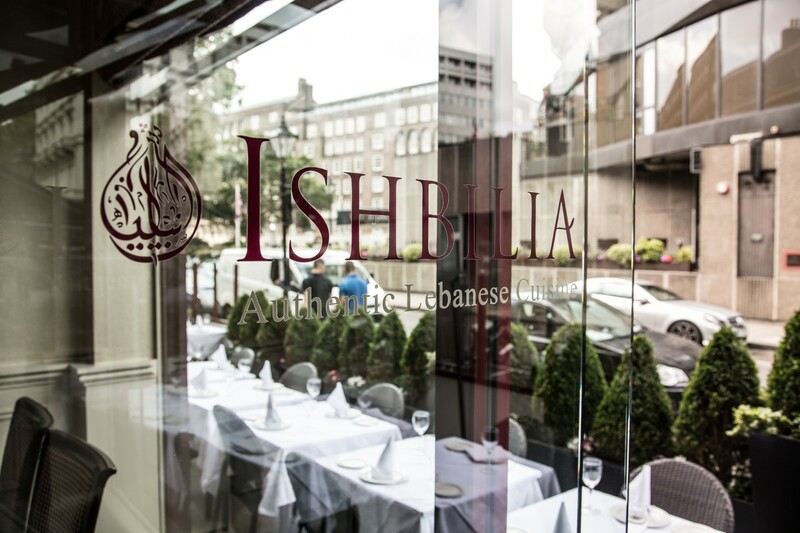 Ishbilia Restaurant first opened in the heart of London’s exclusive Belgravia area in 1998. Since then, under the direction of world renowned Head Chef and owner Mohamed Alkhlaifaoui (Abu Mahmoud), Ishbilia has built a reputation in producing the finest and most authentic Lebanese cuisine available in London. The prestigious ‘Zagat’ Magazine has voted Ishbilia the uk’s number one restaurant for Lebanese food, the past three years running. From the offset Ishbilia’s philosophy has been simple ‘To produce honest, wholesome and traditional food in a relaxed, vibrant and chic setting’. Ishbilia recently undertook a major expansion and refurbishment program by knocking through the existing restaurant into the adjoining premises, therefore creating a much more spacious and larger dining area to enjoy. In addition to this, a new private dining room has been added at the rear of the property, where you can experience the cuisine in a private and luxurious setting. Downstairs, a new ‘Mezze Bar’ has also been opened, wall to wall banquette seating provides a more casual and comfortable atmosphere to pass the hours. Two recessed alcoves, embellished with metallic mosaics also create an intimate dining experience not to be missed. Aesthetically, the three dining areas have been treated differently but, they are consistent in the use of comfortable velvets and silks in varying colours and design to reflect the atmosphere and character of the sumptuous cuisine. Ishbilia has the largest Lebanese menu available in London and with over a hundred dishes to choose from, settle back, relish and share our wonderful cuisine. From our vast selection of hot and cold mezze’s that include an array of fresh salads and dishes such as ‘Moutabal’ (smoked eggplant and sesame oil dip, topped with fresh pomegranate), ‘Foul Moukala’ (broad beans laced with garlic and coriander drizzled with olive oil) our legendary ‘Hummous Kawarmah’ (creamy hummous topped with diced lamb and pine kernels) and the famous Lebanese delicacy ‘Kibbeh Nayeh’ (tartar of lamb) to name but a few. All served with fresh sesame bread and pita from our oven. For main course choose from our wide range of meats, poultry and fish, all finely prepared on our charcoal grill or try one of our more traditional home cooked specialities usually served with rice. To finish indulge on a platter of fresh fruit and be tempted by a divine assortment of baklava accompanied by refreshing Arabic mint tea or cardoman Lebanese coffee.